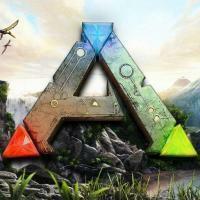 We have chatted with the community and we have been working to create a better server. (AS frosty says, tirelessly through the night) - at this moment we are chatting on discord. Clustering - Is in beta but working, Please note if when you transfer and your survivor doesn't show right away give it 30 seconds and try and download again. We have installed the following mods to begin with, we will add mod's through suggestions as previously, BUT we will be going through all bug reports and will be checking better to see if any conflicts exist so we do not have an issue with the map as previously. Classic Flyers - WE HAVE NOT INSTALLED THIS YET. Due to the following bug reports: https://steamcommunity.com/workshop/filedetails/discussion/895711211/133261369999910543/ If the community still wants to go ahead and install classic flyers please say below, we just don't want to cause any issues to dinos by installing the mod. Please read the bug reports to see if installing it will affect your game experience. Levelling - Is standard currently, a few reasons to this, I do not want to copy our badly designed level structure, if we are editing levels we need to make the levelling structure better and more balanced than before. GAIA - For the next week or so this is disabled till I can properly review this. We may continue it, we may remove it. Depends what people want. It's a hefty weight to our server resources but I do not mind keeping it but we will be doing the same but adding GAIA on as well as the other mods chosen. We want to provide the most stable experience in ARK and we really hope you understand why we have only selected certain mods to begin with. We will be adding more but at the same time we want to ensure that it doesn't cause us another issue like before. Keep watch for our continued giveaway this December! Want to be involved? All you have to do is either post on our website or chat in our discord at https://discord.jrnetwork.net/ More active users get a higher chance of winning. A member can only win once in this giveaway. Members are picked at random. The time for giving has come again and as a result of this years advent event here at JR, we're now 2 day''s in and what does that mean you may be asking?.... Well good ole frosty clause tell you just what that means! If you haven't guessed already it means we have two prizes ready to place under the lucky winners trees this year. Prize number 2 = Dead space (steam or origin redeemable) - Goes too @SLABJACK Congratulations Slabjack!, Grab your blanket, a warm beverage and your prefferred weapon of choice as it's going to be a night of terror for you! Off to a great start this December and remember, gifts will be provided each day up until the 25th of December here at JR so stay tuned, you may find that your name is called next. Coming to you with a rather sad news update. 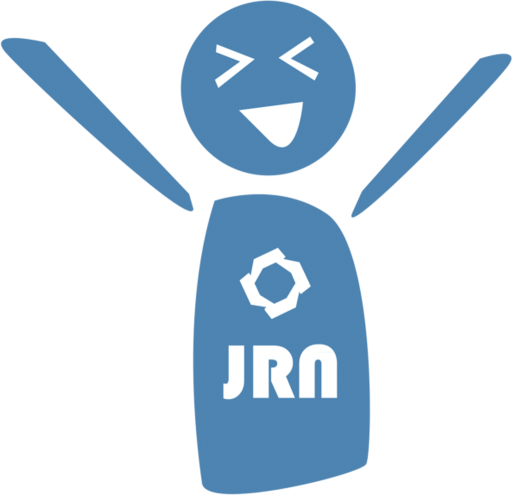 JR is currently facing finnicial difficulties and we don't have long until we have to pay our server fees for the month (tomorrow). Jamie has had to pay a rather large sum of money this month to have his car repaired which wouldn't be an issue on it's own. However after picking his car up from the garage where it was being repaired, he has rear ended by someone more interested using his phone than paying attention to the road. Currently this person has not provided Jamie with his insurance details, meaning Jamie currently doesn't know what is going to happen and he may have to seek legal action, which in itself can be quite expensive. Even if you can't donate much to help us out it is greatly appreciated, as without these donations JR won't be able to pay for our servers this month and have to shut down. We are asking for any money that you can spare. We do not like asking for your money, but this is a critical time for us. Anyone who donates anything will recieve an additional 5000 JR cash regardless of how much or how little you can help! We appreciate anything you can spare. Anyone who donates 60 Euro or over will recieve JR Premium for 2 years. JR runs so many servers now at this stage, unfortunately for us this comes with a price. Why 5 days? Because of resources, we can not financially hold more backups than this due to space constraints. Just a note here before I continue. Don't assume a problem has been reported, if you have an issue with our servers REPORT IT! IF we are not told in time it may be too late. What to do if there is a issue with a server? Report the issue with either a official support ticket / community help forum post. You can also notify us in #gameserverhelp on discord! Recently players have only PMed me issues, this will not do! Unfortunately I am not around 24/7 this is why I have staff to help. If you only message me privately staff are not informed and can not take action. We have staff for a reason, please follow proper procedure if an error occurs, a server goes down, or if the map is lost. NEVER PM JUST ONE MEMBER OF STAFF, REPORT IT CORRECTLY AS STAFF MAY BE ON HOLIDAY, SICK, OUT, BUSY WITH LIFE, WHATEVER THEY ARE DOING. In relation to this The Island map has been reset and there is no way back. On trying to revert a back up the earliest I had was the 12th. Which didn't contain users builds etc. I hate to turn round and tell users there is no way to get their stuff back. This is caused due to Structures plus. EVERY TIME it updates it causes a map issue like this and there is nothing I can do but revert the map backup which fixes the issue. We will be holding a community event in Minecraft today, please join in with the fun! Re-added shop chest. You can now sell or buy things from other players by creating shops in survival. Video on how to do this is below. Due to grief prevention: a player can create shops only in regions where he/she is allowed to open chests. JR has jumped ahead of the curve and setup a rend server. 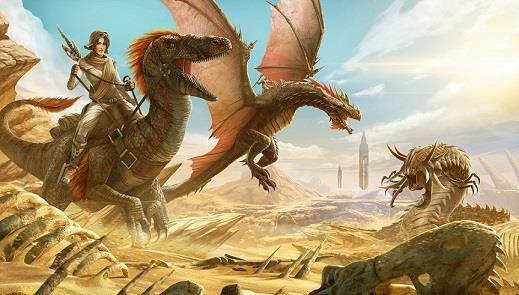 Due to current server flaws with the REND server we can not query a REND server for our server list or give an IP to connect as you can not direct connect! Well how do I connect? Easy! Search Rend @ JR in the server browser. We have been very busy, very very busy. JRCraft 1.13 is now in a beta stage release. Please note only Survival will be available currently. We are working on creative but unfortunately some components need serious work. N.B Inventories between old and new map are linked so therefore you can move your stuff to the new map. Protecting your stuff is one of major concerns at JRCraft, always has. Unfortunately full world guard functionality is not there currently due to the fact it's still being updated for 1.13. One thing we have done is remove logblock due to incompatibilities instead we have installed CoreProtect so we are able to roll back any griefing or problems. A lot of stuff has broken due to 1.13, I know we will get these servers back eventually but please remain patient as things will take a bit of time to get sorted. Removal of HUB server and stargates, instead we are switching to a neater solution so you dont have to walk through the portals. Instead use /servers a GUI will appear so you can select a server. New flying plugin will be introduced in the next few days, to add a more survival aspect to our servers people wishing to use fly in survival will have to use coal to fly. Please note premium users and donaters can fly unlimited. Entire plugin directory has been wiped out so we can clean up our act on the server. following the release of minecraft 1.13 I think it is best to let everyone know what is going on with updating JRCraft to minecraft 1.13. This update is one massive update, it is the same as minecraft going from version 1.8 to 1.12 in one update (basically all updates between 1.8 and 1.12 being released as one mega update). It contains a lot of changes to the game and the game server, which requires a lot of effort from the guys working on Spigot. Barbaric times are ahead of us all, You called? 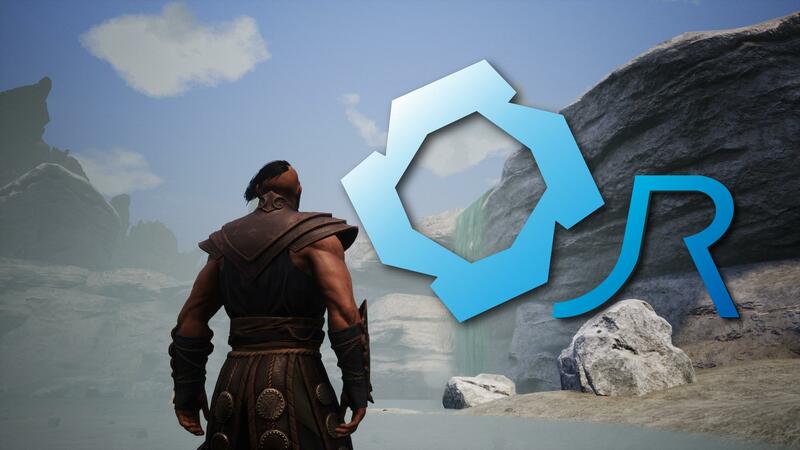 We heard your requests and from this something knew is upon us and we are delighted to announce that Conan Exiles has now been added to our server list which can be connected to via the direct address of " 46.105.165.166:27112 ". A new sub forum is in the works to house all conan related discussion and updates which will be located via the following link"https://jrnetwork.net/forums/forum/394-gaming-servers/" and we currently have added our server rates to our Wiki address which can be located here > "https://jrnetwork.net/help/serverwiki/conan-exiles/". If you guys have any requests for adding to the server let us know and we will take into consideration what is highlighted. We are beta testing our new servers list and ranking system. Please note levels are not final and may change, experience may be reset at the end of this beta test. All JR Cash earned from the beta test will be kept in your account for use as a thank you for helping with our testing. We will be conducting a full release of this new system in the coming few weeks, keep watch for it as an event may be released with it! This build fixes many bugs that you may have seen, including the dodgy player list. 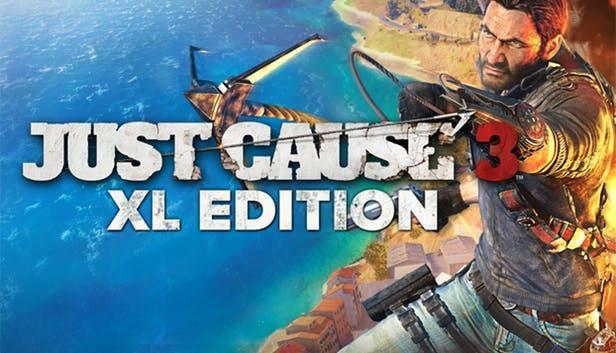 Please note we can not fix the bug caused by ghosting player names caused by ARK and we are still trying to get player names back from the JC3 server so things are not support with that as of yet. I really hope you like this update. Don't forget to use these new features you must sign in to JR with your steam / minecraft ID. For more information on how to do this please follow this quick guide. Currently: Frank T Hack is the Most Valuable Player?! To knock him off the podium you have to beat his online time or get more kills in TF2, CS:GO. MVP is currently ranked on the amount of experience a player holds! He could be beaten at any point and soon there will be EXP / CASH events at JR! Expect one when the full release comes out! Bit of information on why I haven't been around much recently. I'm developing a new system (i'm keeping it a secret currently) this will be a big enough update to JR and will give back to our community that sticks with JR's gaming servers. I'm hoping to release it at the start of next month. Currently I have developed the system and it is working and we will be beta testing it soon enough. JRTV hasn't been forgotten, episode 10 is nearly ready but will not be released till some time in the next week or two. The reason being I'm on holiday next week and will be ceasing all development and JR work while I am on holiday and the episode is not complete yet. I hope you can understand the wait till the next episode, I've been asked by a few people who watch the episodes when it'll be released. It'll be here soon just please bear with me. JR's server bills are coming up soon and if you want to support our content and servers please consider sending a small donation to me here: https://jrnetwork.net/clients/donations/ I spend a lot of time working behind the scenes on JR. 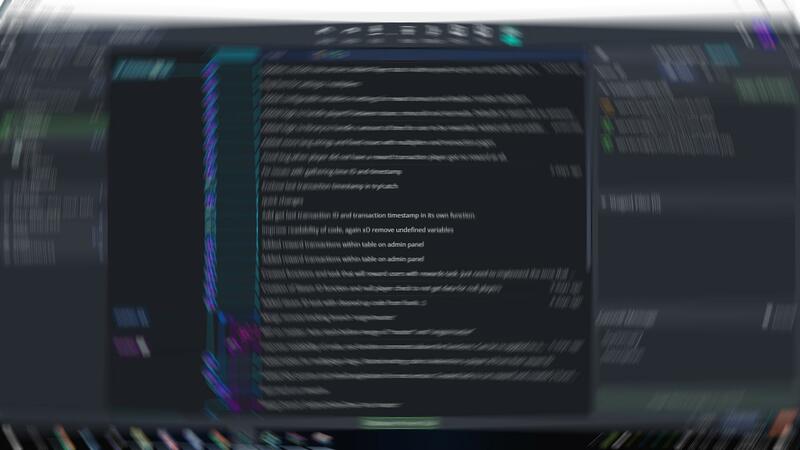 Even if you don't see me around the website or on discord it's because i'm busy working on new features, updating servers or else. For context, I've spent over 60 hours on the new system myself coding. JR is becoming a big enough platform and I'm trying to get more things integrated to become a more universal experience to manage. We have many different systems running different parts of the servers and website. Hopefully soon everything will be on a more unified panel soon, most things are, just a few stray servers. Five M will be coming properly to JR, currently we have been having issues with running a server on our platform, I have a couple of ideas to fix these issues. This will be implemented soon. 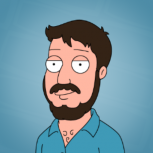 If you are wondering what this blurred image is, it's a git of all the commits to this new upcoming system. The staff all are aware of what I'm building. I just hope you all like the idea. I'm always looking to improve the services we run. Whether adding more servers or working with the community to better our existing ones. I'd like to know a few things from you guys. We have a lot of members come and also go, which is saddening as sometimes after members leave I find out that they leave because either something is not on our server (s) or something is not working right. Instead of notifying me users are just leaving and that really is bad for a growing community like JR. Either way, please spend a few minutes to help us answer these questions. You can use the template below if wanted. What would make JR Better? What do you feel is wasted at JR? What servers do you want? Any other thoughts you may have? As discussed on discord in the next few days we are looking to have a community event. Please post your thoughts here and post on the poll on the game that we should play as a community. Haven't got JC3 yet and want to play our multiplayer ?! Please note the offer expires 6 days from this news post date. Pimp My Dino - https://steamcommunity.com/sharedfiles/filedetails/?l=english&id=6555817652.